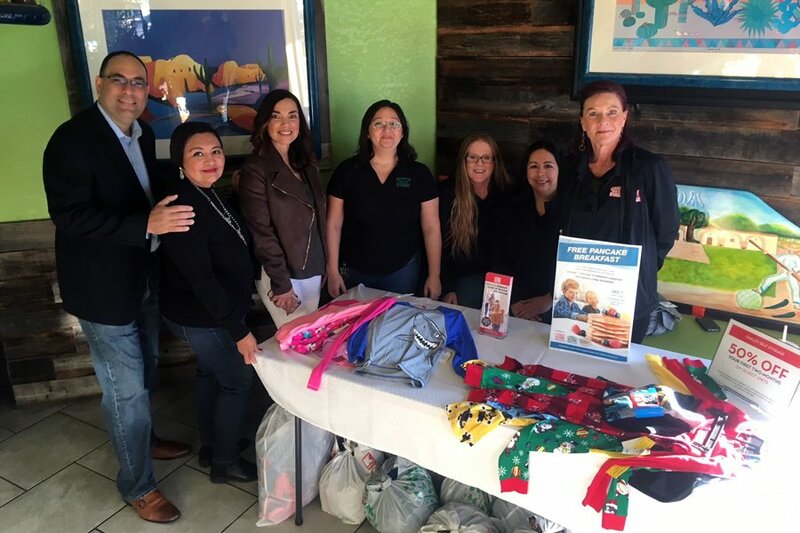 Thank you to all who joined us for our FREE pancake breakfast at La Hacienda Grill on December 7th. The event was a great success and we were delighted to welcome such a great group of people. A highlight of the day included a kind woman from our community who donated an entire trunk of home-made crocheted slippers, scarves, and afghans. Brentwood Self Storage sends our sincerest gratitude to the anonymous donor. Peggy Smith, the agent from the Expressions of Love Foster Care Agency, was very pleased to pick up the 30+ pairs of PJ’s we collected. Holding our children’s pajamas donation drive was a collaborative team-building exercise. But most importantly, it was a way to support children in our community get a good night’s sleep, especially those affected by the North Bay fires. Thank you to everyone who supported the event including our sponsors Oakley Self Storage and La Hacienda Grill. By far this is the best storage place in town. I love the staff and the premises are in amazing condition. I love the fact that they have many options when it come to selecting a unit.